This coloring book was created to help you prepare your child for the experience of coming to Johns Hopkins Children's Center for surgery. It allows children to become familiar with what to expect the day of surgery, while providing an opportunity for them to express their related thoughts and feelings. Sharing this information in an honest, yet gentle way can help your child begin to gain trust in you and the medical team surrounding the hospital experience. This book can also be used as a journal to document his/her experience, so encourage your child to bring it the day of surgery. 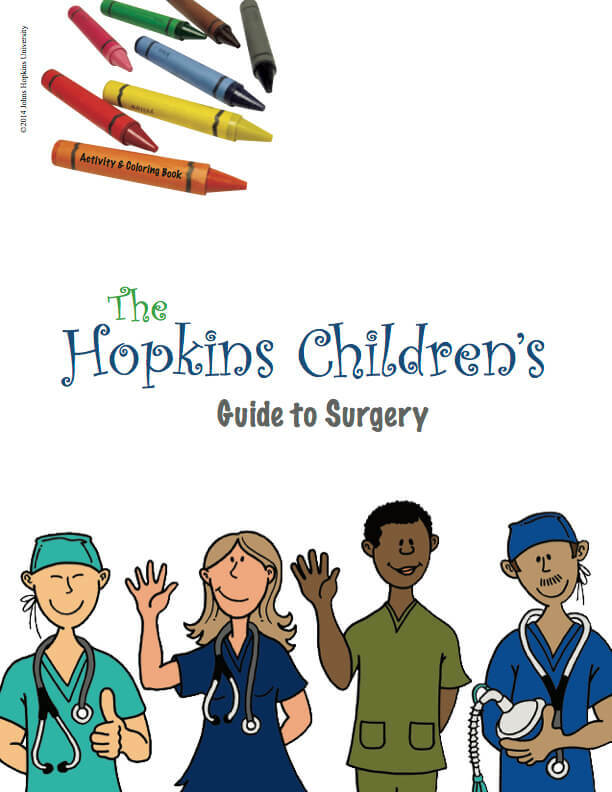 Download The Hopkins Children's Guide to Surgery in English, Spanish or Arabic. An unbranded coloring book is available for use at other institutions. For more information about purchasing the right to print the activity and coloring book, please download the request form.